The new location has a kitchen and showers — amenities not offered at any of the three previous locations. The issue traces back to an Aug. 5 rally when BPD released the mugshots, names and cities of residence of arrested protesters before they had been charged with any crimes. Arrests are a part of the public record, but arrestees argued during the meeting that posting their information exposed them to potential threats. The Berkeley Emergency Storm Shelter will be moving to a new — but not permanent — long-term location at 1931 Center St. in early October, depending on certain “improvements” currently being made by the city. The date remains unconfirmed. Berkeley City Council will decide on anti-doxing policy, which would limit the Berkeley Police Department’s ability to publish arrest photos on social media platforms, during its regular meeting on Sept. 25. The Frances Albrier Community Center will close its shelter Sunday, leaving Berkeley without a temporary or permanent overnight shelter. The Downtown Berkeley BART station plaza, which has been under construction since 2016, is set to be completed this month. A controversial recommendation from Mayor Jesse Arreguín would enforce regulations of unpermitted lodging — through California Penal Code Section 647(e) — and sidewalk obstruction. City officials are currently exploring possible locations for a new permanent shelter that will replace the Berkeley Emergency Storm Shelter, or BESS, after a brainstorming session last week. In addition to maintaining the shelter for the rest of the summer, the council focused on other measures to reduce homelessness, including setting aside $11 million for the Berkeley Way project and passing an urgency ordinance authorizing the sale of bonds financing affordable housing. Located on Second and Cedar streets, the center, which is the first phase of the Pathways Project, will provide 50 beds for Berkeley’s homeless population in shared trailer housing, as well as supportive services such as counseling, transitional housing and job assistance. 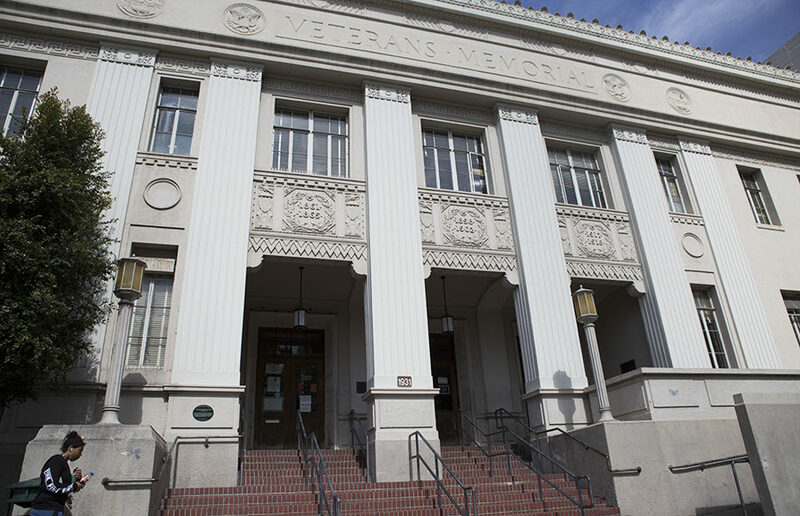 Berkeley will vote to ratify keeping the Berkeley Emergency Storm Shelter open an additional six weeks, after it was planned to close Sunday.